Reassurance shield after WV 104 as we head out of Princeton. 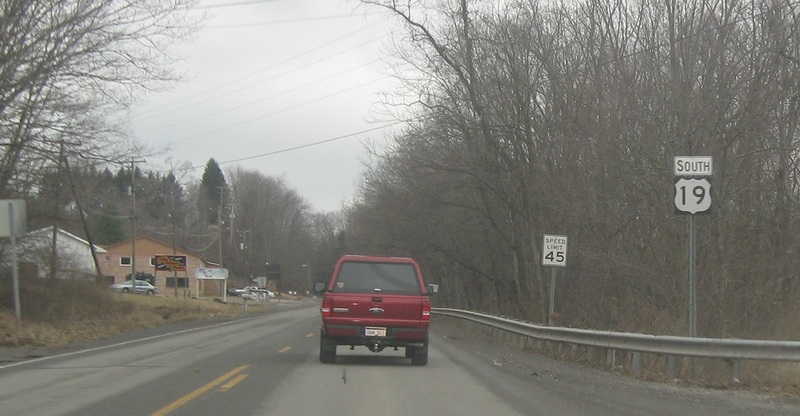 Less than a mile later, we’ll approach US-460. 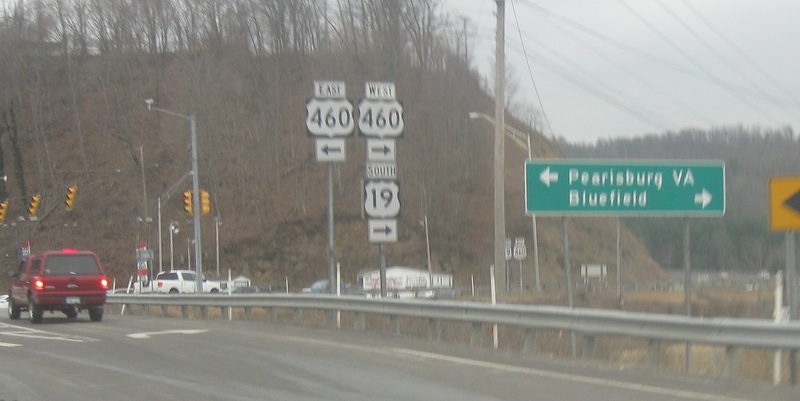 Turn right for 19 south/460 west, which run concurrent most of the way to Bluefield (and generally follow the same corridor to Claypool Hill, Va.). 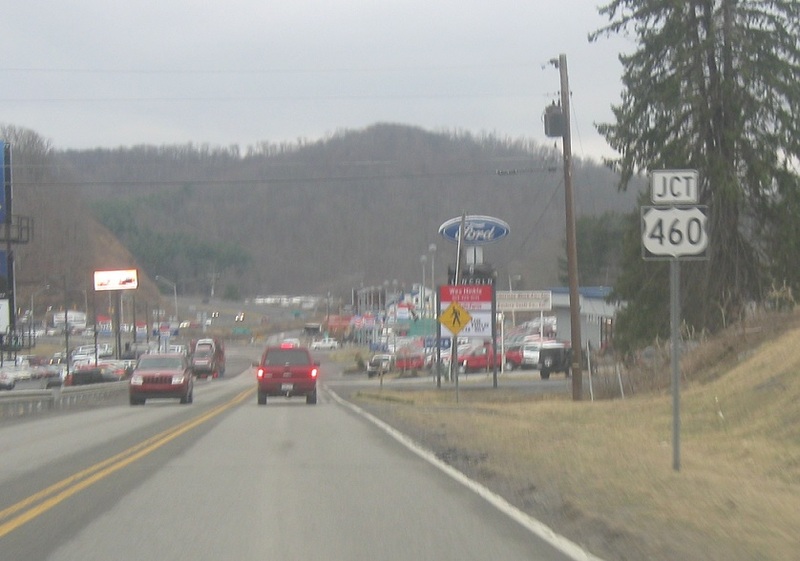 Turn left for 460 east to Pearlsburg.